Competitor research is easier than ever with dozens of new tools coming out every year that allow you to mine all the internet has to offer. These tools not only allow you to see how your competition is doing in relation to you, but lets you see what gives them their strength and to also see their weaknesses so you can capitalize on it. Here are seven tools that should help give you the data you need to run ahead. With these tools you’ll be able to estimate their revenues, find their star performing product lines, estimate their web traffic compared to yours, and find all the keywords that drive traffic to their website. There aren’t many good sites that can show you how well your competitors do in relation to you with upward or downward trends. Sites that used browser bookmark bar data have been around forever but were notoriously inaccurate nearly to the point of being useless. Even SimilarWeb, which is the most accurate of those available, according to some research from MOZ, has shown that it’s basically only within 30% of actual traffic only 22% of the time, which is still quite a bit better from some of the other players in the field. Even so, it’s a very valuable service for comparing relative to your competition. It may guess that your competitor gets 100K visits a month, when in fact they get 200K. However, if it shows you get 400K, it’s safe to assume you are getting significantly more traffic than your competitors. Also, if you see sustained growth or sustained decline, it’s likely to be a real trend that your competitors are feeling. 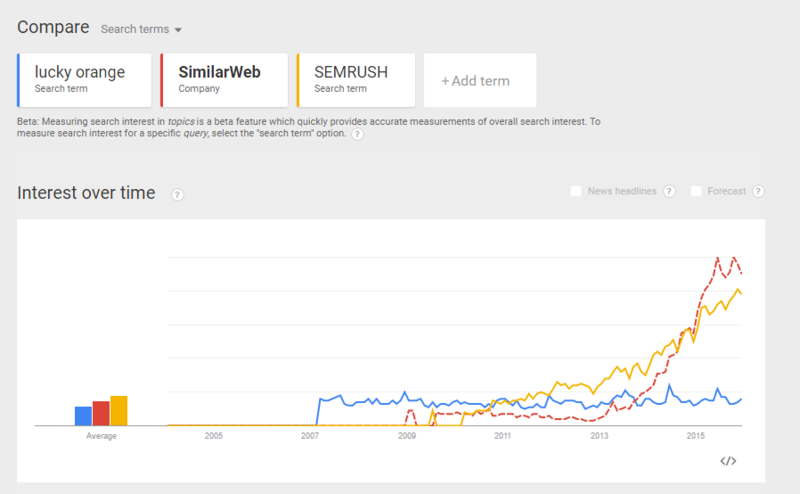 SimilarWeb is more than just a traffic analytics research tool. 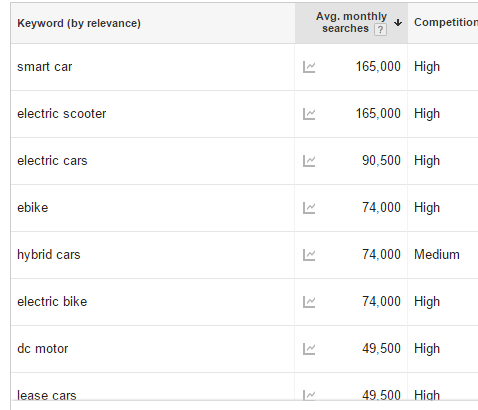 You can see the search terms that your competition uses, and where their traffic comes from. You can even see where they are running ads and sites that are similar (which are usually good candidates for PR relationships or ad campaigns). 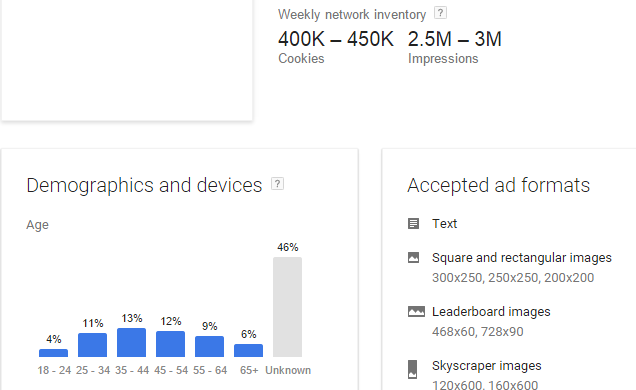 The Google Adwords Keyword Tool is still a necessary stop for anyone trying to understand what drives traffic to your competitors. Regardless of your industry, people are searching online to research products in your market and they are finding you and your competitors through organic search results. If you go in Google Adwords and click Keyword Tool, you can put in the URL of any website. So, if I were Ford, I can put in the URL of Tesla Motors and get the keywords that people are typing in to end up at Tesla’s website. This data will allow you to target those keywords via SEO or just buy them via Adwords. Google Trends is not very granular and is biased by a change of searcher behavior over the years, but it can still be a useful tool for comparative study. Putting your brand name and those of your competitors, so long as they are quite unique, should yield a benchmark that shows you an estimation of traffic over time. It’s best to use this to compare against another benchmark in the same industry and look for trends between those two. 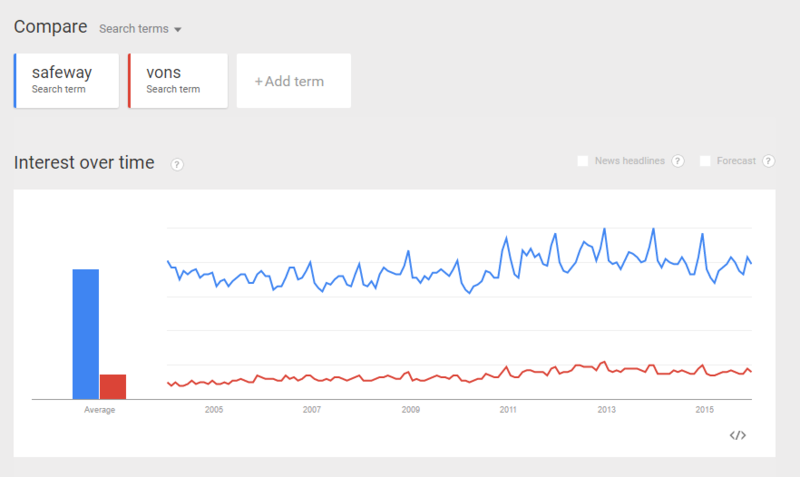 Don’t necessarily read too heavily into the ten-year movement, due to the different ways people search. It’s particular strength will always be to identify emergence or compare between multiple brands, because this will help tell you who is really experiencing growth. Check out the example below: which of these three companies would you most like to invest in? SimilarWeb has been having takeoff level growth since 2013, while SEMRUSH has posted significant growth for the last five years. SEMRUSH not only allows you to compare traffic of your competitors, but takes you into the world of comparative SEO. Since your company likely gets more than half of its organic traffic through Google and so does your competitor, having higher rankings for certain keywords is a clear competitive advantage. 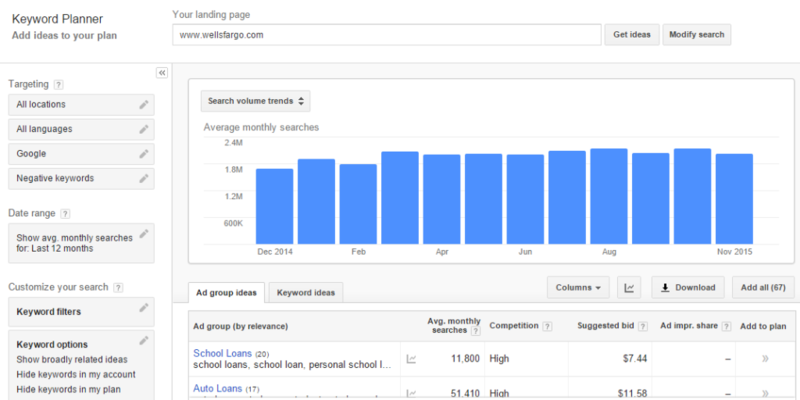 You’ll be able to see which keywords they rank higher for and monitor the change of those rankings over time. You’ll also be able to see how much traffic a particular search term has, which will let you decide whether it’s a term you want to go after. These kinds of keyword reports can also be helpful if you wish to buy up your competitors’ traffic. Just find the keywords they rank highly for and buy them using Google Adwords. Another useful feature is “Backlinks,” which shows you which sites are linking to your competitors. In many cases you might find some sites that would also link to you, some media blogs, or other places you didn’t even know existed. Every site listed in this report is the backbone of the rankings that they are getting, so you should try and also get links to your site on as many of the high ranking sites on the backlinks report as possible. Terapeak is the holy grail research tool for eBay and Amazon, allowing you to get all the real data to deeply investigate your competition. You can use it to estimate market size for particular products, see what products are hot and trending, and even to estimate the gross of your competitors by a simple mathematical calculation. Unlike sites like SimilarWeb, Terapeak uses real data, having complete access to all the sales information for the largest sites representing e-commerce on the web. Imagine being able to peer into your competitors’ sales analytics: that’s exactly what you’ll be able to do with Terapeak. Type in the name of your competitor to see how much they’ve sold of which product, and you’ll be able to compare that to yourself. If you know the percentage of your sales that are on eBay, you can use that percentage and apply it to your competitor to come up with an estimated revenue for them as well. For instance, if your business makes $1,000,000 in sales and 20% of that comes from eBay and you lookup competitor X and see they make $300,000 on eBay, you can also make the assumption they generate somewhere near 20% and that their total revenue is somewhere in the ballpark of $1,500,000. 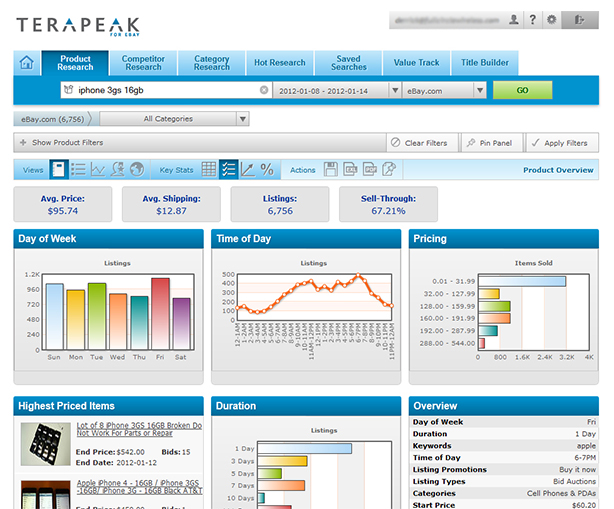 Any company who sales a product online should have a Terapeak account, if only to do research for MAP violations. If your competition features a Google display ad on their website, you’ll be able to get some direct insight by going into Google Adwords>Tools>Display Planner and typing in the web address of your competition. You’ll be able to get an estimate of the traffic of the site (probably one of the most accurate), as well as some limited demographic data. 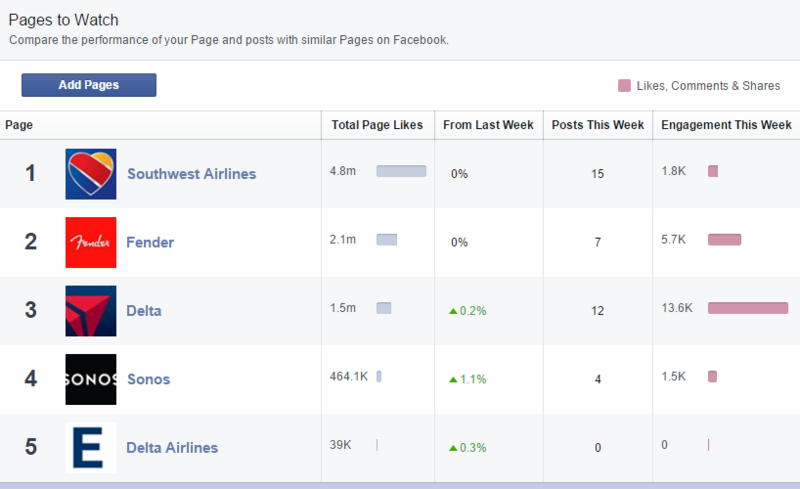 Facebook insights allows you to watch the pages of your competitors and to see how you perform in comparison. Just login to the account you use to manage your Facebook fan page and click insights, and then overview. At the bottom of the page you’ll be able to add competitors and see how they have performed versus your page in the last week. Engagement is always the key metric here because it’ll generally be related to reach (how many people see posts). This study found that direct increases in engagement can also be reflected in revenues. Another favorite for Facebook data of competitors is FanPageKarma which allows you to drill deeply into their analytics and provide detailed comparison. What competitor research tools do you like to use?